Let distance never be a hindrance in expressing your warmth and love. 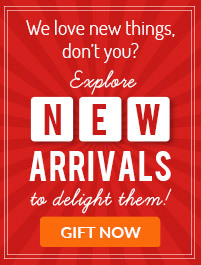 Express your feelings for your near and dear ones through exciting and endearing online personalized gifts. 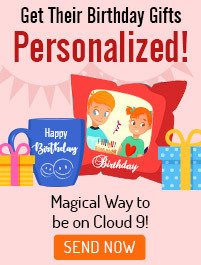 Check out our exclusive collection of unique personalized gifts for all age groups and gender. We assure you that our out-of-the-box gifting ideas help you go beyond the ordinary and truly delight the gift recipient. There is a certain inexplicable happiness that comes to everyone’s mind when a gift pack reaches them. A lot of things are there that would make a wonderful gift but perhaps nothing can better explain the love you have in your heart than a personalized gift. These personalized products have a charming nostalgia and romanticism in them. In our website, you would find photo frames, key chains, coffee mugs, cushions, bottle lamps, etc. in the category of personalized gifts. 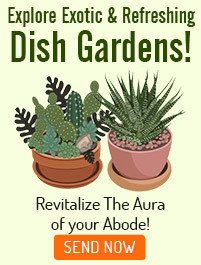 As an anniversary or Valentine’s Day gift, nothing can compete with these personalized gifts for that romantic appeal. Choose a lovely picture of you and your sweetheart and send us so that we can prepare the gift for you. You can get these personalized gifts to Dubai and greet your loved ones in a surprising way. Suppose you had a bad fight with your better half and somehow have realized now that it was your fault. So, to say a cute sorry to her, pick up a personalized cushion gift to Abu Dhabi and match that up with a thrilling box of Ferrero Rocher chocolates. Anger would definitely melt away seeing these fabulous gifts of love. We have helped millions of people express their love and affection through uniquely crafted gifts. If you are looking to send personalized gifts to where your loved ones reside, you have reached the right place here. We, Ferns N Petals have an amazing collection of flower bouquets, chocolates, teddies and soft toys, yummy cakes, beauty kits, bottle lamps, cushion covers, personalized gift items, and many more. When you order personalized gifts online with us, we assure the fastest gift delivery service, which means the recipient will get your gifts at their doorsteps in less than 4 hours if you request for an express delivery service. And we offer free shipping services in UAE. We accept all major credit cards and debit cards. We also accept online money transfers from major banks, to make your buying experience smooth and convenient. You can also schedule the gift delivery for any later date of your choice. 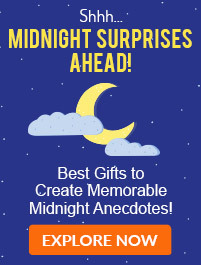 Or, if you are a last minute shopper, you can avail our same day gift delivery services. All these options at no extra cost! if you are looking to surprise your partner with personalized mugs on your wedding anniversary, we provide just such an option. Now, send personalized photo cushion or a cute personalized love pendant as a surprise that is sure to sweep your beloved off his or her feet. Ferns N Petals have been a long standing company serving people with some marvelous gift options like flowers, cakes, chocolates, and sweets. Our stock of personalized gifts are also equally endearing and would leave you wanting for more. To surprise your sister for completing graduation successfully, you can throw a lavish party and bring a customized cake. Have a look at the designs and types of cakes w offer and place an order and see the excitement on her face. You can get a beer mug as customized gift to Dubai for delighting your brother who has been promoted to a better position professionally. You would also find many kinds of combo gifts where these personalized stuffs are combined with the freshest flowers, tastiest sweets, mesmerizing cakes, or adorable soft toys. So, keep checking the website really well before your major occasions. Our network of services is quite strong and thus you can also place order for personalized gifts to Abu Dhabi, Sharjah, or anywhere in UAE. This upcoming March has two big occasions – Women’s Day on 8th March and Mother’s Day on 21st March. So, you must be ready to make these two occasions a memorable one for all the special women in your life. To help you in this process, Ferns N Petals brings to you some amazing women’s day gifts. One of the best gifts to greet all the magnificent women in your life would be flowers bouquets that symbolize love, beauty, respect, grace, cheerfulness, hope, and positivity. So, send flowers for women’s day and make her feel special. Our services are prevalent all over the UAE like Dubai, Sharjah, Al Ain, Fujairah, Abu Dhabi, etc. 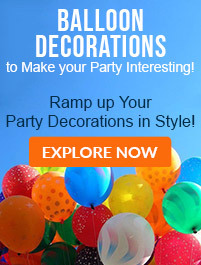 Apart from flowers, you can check our long list of cakes, chocolates, plants, showpieces, etc. to choose the best mother’s day gift. A combo of flower bouquet and cake would be a nice choice for your mom. You may order the spa, cosmetics, or chocolates hamper for her. But the personalized mother’s day gifts would be the best gift for her. We have cushions, frames, lamps, mugs, etc. in this segment. 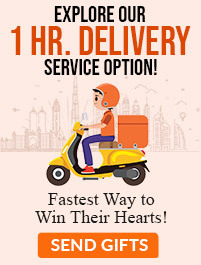 So, use same-day or next day delivery services and surprise the lovely ladies!